Stephanie is a trilingual Psychometrician with over three years assessment experience in both clinical and school contexts. Stephanie received her undergraduate degree in Psychology from the University of Toronto, Canada and her first Masters degree in Psychological Medicine from the University of Hong Kong. She is currently acquiring an a M.A. degree in School Psychology at the McGill University. Stephanie embraces and applies a strength-based approach in her work. She hopes to draw out the strength of children and to inform person-based support within an educational environment. 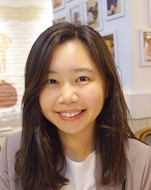 She has been working with local and expat students in Hong Kong, Guangzhou, and Montreal, with needs ranging from educational support, attention difficulty, behavioral challenges, to neurodevelopmental atypicality. She can speak Cantonese, English, and Mandarin fluently. Her linguistic and psychometric skills have complemented the assessment team with psycho-educational and psycho-legal evaluations. Currently, Stephanie is pursuing M.A. degree in School/Applied Child Psychology at McGill University. She assists the team as a remote psychometrician and report writer when she is not in Hong Kong. With her proficient clinical, academic, and linguistic skills, she is hoping to become a licensed educational psychologist upon her doctoral graduation in four years.